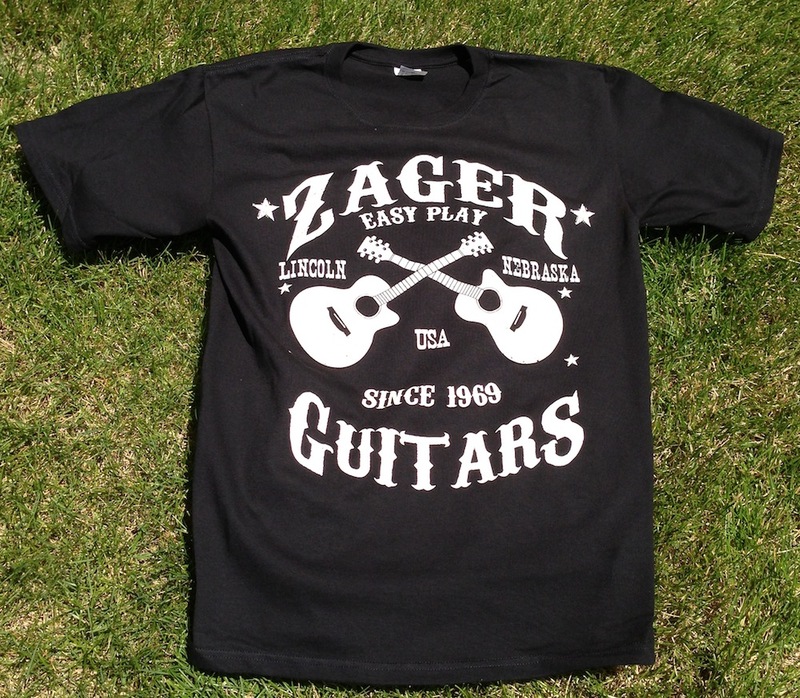 Complete your Zager look with our rocking Zager Guitars tee shirt! Black 100% Cotton Preshrunk short sleeve tee shirt with our classic dueling guitars graphic. Share your Zager pride by wearing this tee shirt around town.. you’re bound to get a few questions about your favorite guitar brand! Offering size XL only, fits universally.